The top 20 percent of salespeople earn 80 percent of the money. 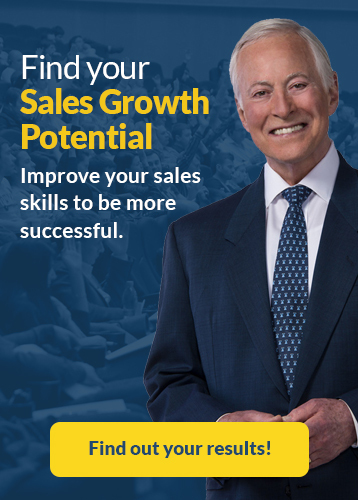 Your goal is to become one of the highest-paid people in your profession and accelerate your sales career using the vital keys to success in sales. Fortunately, this is easier than you might think. All truly successful, highly paid salespeople, love their sales career. You must learn to love your work and then commit yourself to becoming excellent in your field. Invest whatever amount of time is necessary to improve your sales career; pay any price; go and distance, make any sacrifice to become the very best at what you do. Join the top 10 percent. Don’t be wishy-washy. Decide exactly what it is you want in life. Set it as a goal for your sales career and then determine what price you are going to have to pay to get it. According to the research, only about 3 percent of adults have written goals. And these are the most successful and highest-paid people in every field. They are the mover and shakers, the creators and innovators, the top salespeople and entrepreneurs. A key to success in sales is to back your goal with perseverance and indomitable willpower. Decide to throw your whole heart and soul into your success and into achieving your sales career goal. Make a complete commitment to improve your sales career and become one of the most highly-paid salespeople. Resolve that nothing will stop you or discourage you. Your mind is your most precious asset, and the quality of your thinking determines the quality of your sales career. Commit yourself to lifelong learning. I cannot emphasize this too often. Read, listen to audio programs, attend seminars, and never forget that the most valuable asset you will ever have is your mind. As you continue to learn, you will eventually become the one of the most valuable salespeople in your company. The more knowledge you acquire that can be applied to practical purposes, the greater will be your rewards and the more you will be paid. 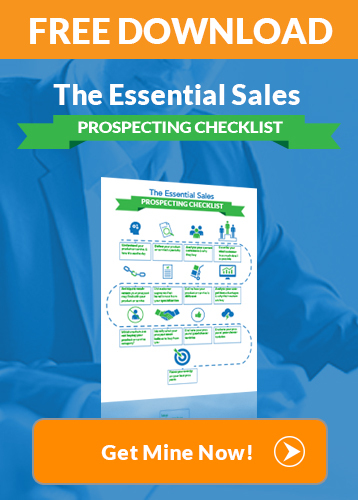 Be sure to check out my favorite sales training programs if you need resources. Your time is all you have to sell. It is your primary asset. How you use your time determines your standard of living. Resolve therefore to use your time well. Begin every day with a list. The best time to make up your work list is the night before, prior to wrapping up for the day. Write down everything that you have to do the next day, starting with your fixed appointments and then moving on to everything you can think of. Do what successful people do. Follow the leaders, not the followers. Do what the top salespeople in your company do. Imitate the ones who are going somewhere with their lives. 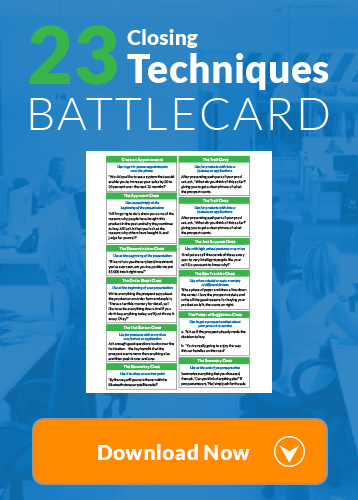 Identify the very best salespeople in your field and pattern yourself after them. If you want to become one of the best salespeople in your company, go to the top earners and ask them for advice. Ask them what you should do to improve your sales career. Inquire about their attitudes, philosophies, and approaches to their work and their customers. Guard your integrity as a sacred thing. Nothing is more important to the quality of your life in our society. In business and sales success, you must have credibility. You can only be successful if people trust you and believe in you. In study after study, the element of trust has been identified as the most important distinguishing factor between one salesperson and another, and one company and another. Think of yourself as a highly intelligent person, even a genius. Recognize that you have the great reserves of creativity that you have never used. This may sound like an exaggeration, but it isn’t. The fact is that every person has the ability to perform at genius levels in one of more areas. You have within you, right now, the ability to do more and be more than you ever have before. Practice the Golden Rule in all your interactions with others. Think about yourself as a customer. How would you like to be treated? Obviously, you would want salespeople to be straightforward with you. You would want her to take the time to thoroughly understand your problem or need and then show you, step by step, how her solution could help you improve your life or work in a cost-effective way. If this is what you would want from a salesperson selling to you, then be sure to give this to every customer you talk to. Finally, and perhaps more important than anything else, resolve to work hard. This is a great key to success in life. Bonus Tip: Stay motivated with my inspirational quotes on your path to success! I hope you enjoyed this article on how to improve your sales career to become one of the highest-earning salespeople in your company. If you have a key to success that has worked for you, please share and comment below!